Prozo.com, an online marketplace for buying and selling study material, has raised its pre-Series A round of funding from a London-based venture capital firm and two affluent individuals, a person familiar with the development told TechCircle. Prozo, operated by Global Edu4Share Pvt. Ltd, has raised funding through a preferential allotment of shares to London-based venture capital firm Earlsfield Capital and Delhi businessmen Sailender Solanki and Rajiv Solanki, the person said, asking not to be named. The startup's co-founder, Ashvini Jakhar, confirmed the fundraising. He said the startup secured $1.1 million (Rs 7.4 crore), which will come in two tranches of $600,000 and $500,000. The company will use these funds to ramp up retailers' acquisition and to build integrated technology solutions for many other parts of the value chain, besides bulk ordering by buyers and order processing by Prozo. It will also add more domestic and international publishers to its supplier base, Jakhar said. Jakhar also said Prozo has achieved revenue of $1.2 million in the past eight months and aims to touch the $5 million revenue mark in the current year. Prozo enables students to buy books, e-learning content, coaching material and personal notes. The orders are processed through its mobile app. It also allows students appearing in competitive exams to seek guidance from those who have cleared these exams. The platform offers in-built ratings, reviews and blogs, too. As per its website, about 200 publishers and 60 digital content producers such as Aakash Institute, CrackVerbal, Brilliant Tutorials, Plancess, learnpedia, Meritnation and Toppr.com are selling on its platform. It aims to launch a series of general, trade (fiction as well as non-fiction) and education books (school K-12 and test preparation) soon. The company was founded by Jakhar, a former lieutenant commander in the Indian Navy, and Jerry Jose in 2014. Jakhar had worked with consulting firm McKinsey & Co as a management consultant before starting this venture. Jose worked at Goldman Sachs and KPMG in the past. Prozohad secured seed funding last year. Earlsfield Capital is led by founding partners Sumeet Pillai, Meraj Alam and Dishang Patel, and make early-stage investments in Indian tech startups, according to its website. Apart from Prozo, it has backed software product firm Khemeia Technologies Pvt. Ltd, which operates under the Stelae Technologies brand. 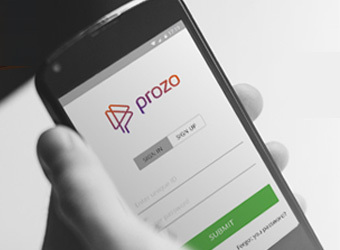 Prozo is among several ed-tech startups that have caught investors' attention this year. In March, online tutorial company Byju's raised $75 million from Sequoia India and Belgian investment firm Sofina in the largest fundraising deal in this segment till date. Byju's said in July it was set to secure $50 million more from investors. Last month ed-tech platform Unacademy raised Rs 6.7 crore from a clutch of investors including Flipkart co-founders Sachin Bansal and Binny Bansal and Paytm founder Vijay Shekhar Sharma. Among other ed-tech startups, Oliveboard has raised funding from the Michael and Susan Dell Foundation while CollegeDekho.com, run by GirnarSoft Education Services Pvt. Ltd, has raised $2 million in its pre-Series A funding round from London-based Man Capital LLP. In late February, ed-tech firm Carveniche Technologies Pvt. Ltd secured angel funding from Calcutta Angels, Lead Angels and a bunch of wealthy individuals. This article has been updated to include details of fundraising and a co-founder's comments.